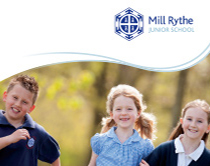 Welcome to Mill Rythe Junior School, a place where excellence, effort and happiness are valued in equal measure. 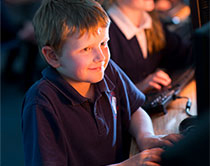 At our school each child is valued and their unique set of skills and talents developed so that they can ‘be the best that they can be’. Our belief is that learning should be exciting and engaging. We want every child to leave our school ready for the next stage in their education and with a real appetite for learning. We have high aspirations for every child that attends our school and a strong track record of achieving academic success. Equally, we ensure children at Mill Rythe are able to explore their full range of talents and interests. Alongside a stimulating and varied curriculum, we offer a range of sporting, musical and artistic enrichment activities including successful sports clubs, cookery clubs and music lessons. We place great emphasis on developing children’s personal skills and believe in the importance of developing kind, caring and courteous individuals. Behaviour in our school has been recognised as being outstanding and we offer children high quality care and pastoral support. We have strong systems in place to support children with additional learning needs and have a fully qualified Special Needs Co-ordinator in the school. I am incredibly proud to be the Headteacher of Mill Rythe Junior School and of the children and staff who contribute so much to the life of the school. If you would like to find out more about the school or to arrange a visit please do not hesitate to contact us. Click here to discover the huge ranges of clubs, sports and music available to all our pupils!